Where you can get free themes? Blogger or WordPress. WordPress vs blogger, what to choose? Are you also facing the same issue as me when I started my blog years ago? Many new bloggers get confused when they are choosing their blogging platform. The first question comes to their mind is Blogger vs WordPress. There are many myths related to Blogger vs WordPress debate. Today, we will talk about this concept in a detailed post. Both are the most famous blogging platforms. I will tell you the pros and cons of them. Then you can easily choose whatever suits you the best. Firstly, Let me give you an introduction on both WordPress and Blogger. Then we will discuss its cons and pros in detail. Blogger is a platform where you can easily create a blog and share your content on internet. It is another product of Google Inc. It is a Free platform to start your own blog without any technical knowledge. Whether you don’t know coding or any web Development skill. You can still manage and design your blog with the help of this blogging tool. Many people find it very useful because of its free version. Even you can earn money by making a blog on blogger. You have to register with AdSense and you can easily show ads on your blog. As people will come on your blog. If they will click on ads, you will get money for those clicks. However, it is quite tricky to approve your AdSense account. Google is a big brand and they approve the websites with good content and design. They actually want to manage quality in their service. Learn here : Actionable Steps to Approve your Google Adsense Account. Moreover, there are some drawbacks in the service of Blogger as well. It is always not the first choice of bloggers. People don’t notice that they can’t make their own domain with this free version. They will get their site name something like this. Eg., yoursitename.blogspot.com. If you still want to make your own domain name. Then you need to pay $13 to Google to buy your own domain on blogger. Now you can choose your sitename.com. In addition, there are many themes/templates available in the logger. You can design your website as you want. They give you many different options to choose a better layout for your Blog. If you don’t like the default themes. You can also buy premium themes from third-party sites. WordPress is the largest blogging platform in the world. Around 27% of websites are using WordPress in this world. People love WordPress because of its open source management system. WordPress created a huge open community to build this largest network. Developers build new plugins to add features to WordPress websites. There are millions of websites depend on WordPress. The main drawback of WordPress is that you can’t put ads on your blogs with a free version. On the other side, there is another version called WordPress.org. Here you can easily buy your own domain name and hosting plan. In this plan, you can easily put many ads or Affiliate links to products. You need to buy a hosting plan to host all files of your website. Now you can easily manage your fully functional WordPress website. In WordPress, there are many different features to customize your blog rather than Blogger. You have much more control on your own site. Here you can design your whole site according to your need. You can buy any WordPress theme and install it on your site. There are many blogs and support forums available on the internet to help WordPress users. Google has a small page for blogger guide, but WordPress has a huge website (WordPress.org) which has thousands of articles of WordPress tutorials. Also Read: The Ultimate Guide to Write a Blog Post That Rank in Google’s Top 10. Blogger.com is a totally FREE resource to create a website or blog. If you want to have your own domain name on your blog. You need to just buy a domain name from blogger. After that, you do not need to buy a hosting plan. You can easily customize your website design with pre-built layouts or you can edit your theme with HTML editor. Most impressive and beneficial part of the blogger is Adsense. You can easily put many ads on your blogspot website. There are no restrictions on posting ads in your blog posts. You can easily earn money with this amazing feature. There is no storage limit in blogger. You don’t need to worry about bandwidth and memory storage. They give you unlimited storage to upload your files and data. You are always free to upload big files into your website. You also don’t need to worry about your hosting provider services. All that is managed by Google itself. There is another anonymous feature comes with blogger websites. You can easily post your blogs on your site by sending an email. You don’t need to go to blogger dashboard and log in your credentials. Then you will post your blogs. You can directly post your content via email. You can also use a free CDN network to load all your files on a cloud server. It will give a faster website so that your users can open your site in just a second. It boosts website speed with extraordinary networks. You do not have full control of your Blogspot blog. Blogger gives you a limited number of free layouts to design your website. Blogger can delete your whole website at any time. If your site gets huge traffic or getting server loads. They can delete your whole site anytime. There is no way to identify when and why they will delete your site. Many Blogspot users are using it for many years. But some people get their blog closed in some days. You need to buy your custom domain Email Id by some third party companies. That means you can’t make an email id in blogger. Eg., [email protected] This is the negative point in blogger. But you can buy these email addresses from third party companies like GoDaddy. You can create a simple blog on blogger, but you cant create an e-commerce website with the help of blogger.com. They don’t give these functionalities to transform your whole site into an e-commerce site. You don’t have any plugins to customize your website or blog. They have widgets feature, but it doesn’t have a feature like WordPress plugins. If you want to modify or edit comments on your website. Blogger doesn’t have any feature to edit comments. However, you need to rely on third-party providers like Disqus. First of all, WordPress has every feature which is essential for every blogger or online business. You can promote your business or become a professional blogger. 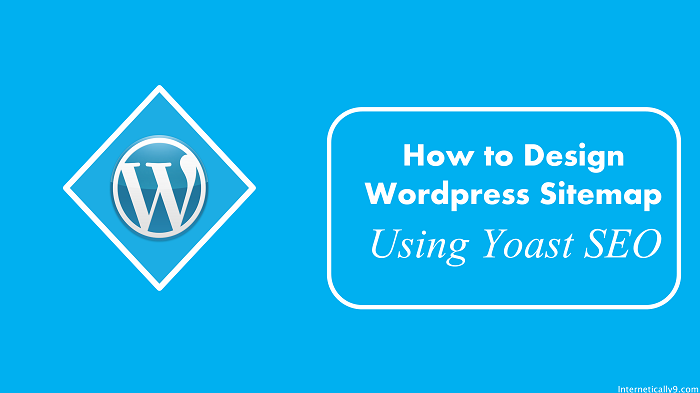 In WordPress, you have total control on your website. You can design or edit every single part of your blog with the help of millions of plugins. There are thousands of premium themes available in the market. If you don’t like any free theme in WordPress. You can buy premium themes which provide support to design and make changes to your website. There are many SEO plugins in WordPress, which helps to boost your website ranking in google search results. The most famous is Yoast SEO. Its the easiest and free plugin to fully customize your website SEO. There are plugins available which can easily transfer your website into an e-commerce website with only some easy steps. You can sell any of your products and there are billing features on your site. All these features are freely available with woo commerce plugin. You can edit or choose whatever permalinks you want for your blog posts. There is an edit option to change your permalinks. It is better for SEO, if you put only keywords in your permalink URL. You can easily edit or modify any comments on your website. You don’t need to rely on any third party comment services. Its all in your hand to modify your comments according to your need. You can easily access your all website files on ftp manager. Ftp software gives you a great feature to transfer your files from any computer very easily. If you want to get designed your site with some developer. You have to share only ftp details and developer will add all the necessary files into it. There is an automatic feature in WordPress. You can share your blog post on every social media network as soon as you publish it immediately. 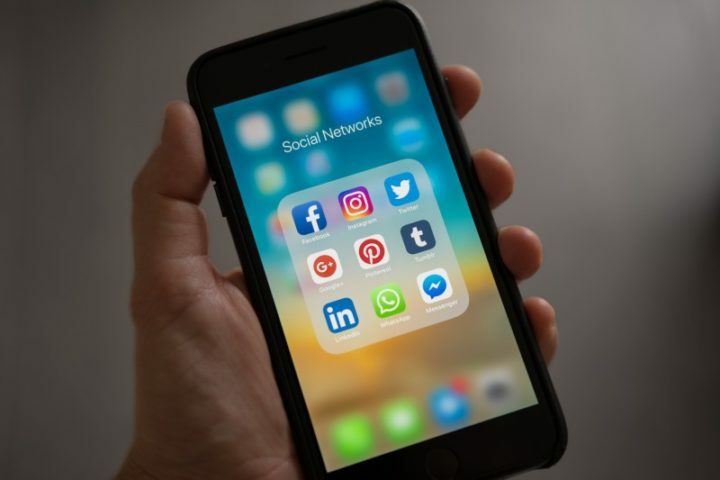 You don’t need to use third party software to share your post on your social media accounts. There are thousands of WordPress forums are available on the internet. If you are not a website developer. You can easily find any technical solution on internet forums. You will get your problems solved in just a minute. There are many drawbacks to using WordPress as well. Firstly, you need to pay to buy a custom domain name of your website and hosting provider. It is because WordPress free version does not provide a custom domain name. Now you need to buy a premium theme to make your website more professional. There are free themes available but if you don’t like that limited number of themes. 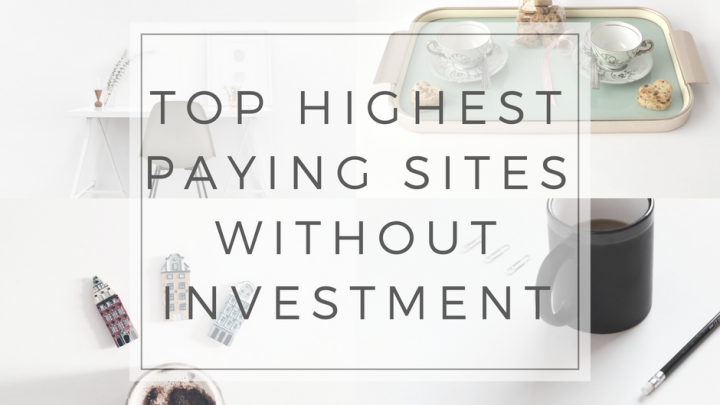 You need to buy premium themes Which is too costly. That means you need to empty your pocket. If you have a low budget, you can get into a trouble. In WordPress, it takes some days to index your any post or page. It all happens because you are all dependent on plugins. However, you can manually submit your webpage URL into google webmaster tools to faster index your site. You need to update your theme and plugins from time to time. Non updated plugins generate problems in your site. It makes slower down your website speed. You need to regularly track your website content to not showing any error on any page. If your website is getting a monthly traffic of more than 20000. You need to buy higher hosting plans to load your website faster. Hosting companies give you a limited capacity server according to plans. Higher and expensive plans have more storage and higher bandwidth. Many big websites need to create their personal server or managed to host plans. Read Also: How to Choose the Best Blogging Platform. Thousands of bloggers stay confused when they are thinking to start their first blog. It was also my biggest misunderstanding that blogger gives the service free of cost service, then why should I choose WordPress. It is the biggest question in every blogger’s mind. However, you need to understand that your website’s data and the server is your own property. This information is related to you and created by your hard work. That means you have all the rights to keep your data safe. If you choose Blogger as your blogging platform. You don’t have any control over your website and data. Let’s discuss in detail. Blogger is a free blogging platform managed and operated by the biggest IT company Google. It is a suitable network to share your online stuff and content. However, Google has all the rights to shut down your website at any time. You created your blog but you don’t have right on it. In WordPress, you need to install WordPress on a hosting provider to host your website. You have all legal rights to run your blog. You can shut it down or run whenever you want. It is totally up to you to take every decision on your site. 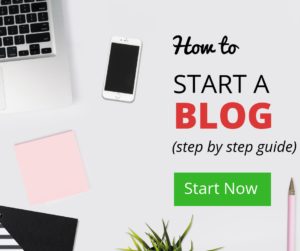 Learn: How to start a blog with easy steps in 2018. Blogger is a straightaway platform. It has very limited features to customize your site. There are limitations everywhere for bloggers. At sometimes, you can’t exceed your limit according to your need. Everything on Blogspot is limited. While on another side, WordPress is an open source blogging network. You can easily add featured whatever you want to your blog. There are tons of WordPress plugins to modify and add functionality to your website. You can easily transform your entire website into an online shopping store. There are free plugins available to do this. If you are looking for a website for business purpose. You have to choose WordPress over Blogspot. Because it will give you a independence to enable more features as your business will increase. Blogger gives a very limited option to choose a layout or theme for your blog. You can make changes with these free layouts, but it has many limitations. You are not allowed to make modifications or create your own blogger theme. There are some developers provide free and premium blogger themes on the internet, but they also have a lack of controllability. Now with WordPress, you have tons of options to create a beautiful and professional website. There are multiple free themes available in WordPress themes directory. You can install them and make changes according to your need. However, there are millions of premium WordPress themes available in the market. There are some very professional developers and companies, who create these premium themes to sell out. They also give you support to customize your site. If you are using free themes from third party websites. You need to be careful because they may have virus or suspicious coding. Free themes will never provide you with support. So it’s better to buy a premium theme instead of free. Premium themes come with total support as well. How will you get help from this support? Whenever you are not able to make some changes to your site. You can directly contact the theme seller to make changes for you. This is very beneficial for those who are not a coder or website developer. Anyone with basic steps can easily work with WordPress and their theme support team. Now you can easily design your website according to your need. Read Here: How to Make Money Online Step by Step Guide. This is the most difficult part if you want to migrate your whole site into a new server. It is too difficult and techy to migrate your site from blogger. In fact, you may lose your data and search engine ranking as well. Furthermore, Google allows you to export the data of your entire website to migrate to other CMS. But you need to learn many things to complete this task. There are many technical issues comes with the blogger on migration. In WordPress, You can easily migrate your site wherever you want. There are no restrictions or limitations to move your entire site. You can change your hosting provider and domain name whenever you want. You can export your whole content on an XML file. Blogspot users have a great advantage in terms of the security of your website. All your server and data stores on Google server. That’s why you don’t need to worry about any downtime, backups, security, and malware etc. In WordPress, you are hosting your site. You have all rights to make changes on your site. That means you have your own responsibility to keep secure your website. There are thousands of WordPress security software are available in the market. You can easily buy according to your need and requirement. WordPress also gives many options to create and save all your website data. So if you lose any data from the site. You can again upload it with easy options. Many hosting companies also provide a backup option to keep safe your entire data. Blogger does not provide support like WordPress. They have a very few tutorials to understand blogger. And they have a basic forum to solve people’s problems. While WordPress users can get support with hundreds of forums and communities. WordPress has a large documentation to describe every aspect to run WordPress website faster. You can find every WordPress related tutorial on support.WordPress.org. You can get help from many online tutorial website or forums. Here you don’t need to worry about anything when you are on WordPress. You can’t identify Blogspot websites result in the upcoming years. Maybe someday, Google shut down the entire Blogspot platform. It’s their own property and they can remove it anytime. If you created a blog with lots of hard work. If you are running a good business on blogger, but there is no guarantee that how long your blog will run. Google can delete Your specific blog if they will face loads on their server. While WordPress does not have a single owner. It is created and developed by many users and developers. It is the most famous and successful content management system on the earth. There are thousands of websites and online businesses depend on it. They make regular updates in WordPress. It is crystal clear that WordPress has a growing future and its users too. 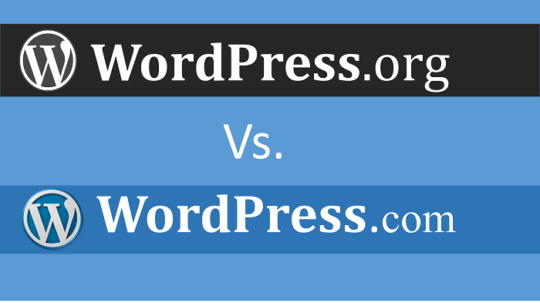 I hope this WordPress vs Blogger guide has given you a broad idea about both of the platforms. You have also understood the pros and cons of both of the platform. I believe that you can now easily choose a better blogging platform for you. As you learned earlier, WordPress has more power and sustainability to showcase your online presence. This WordPress vs blogger debate can never get an end. But you need to decide that if you are blogging only for sharing. Then the blogger is good. If you are thinking to make a career in blogging, then you should definitely go for WordPress. and How to Install WordPress Plugins with easy steps. If you liked this post, then please subscribe to our newsletter to get instant updates about our newly posted articles. You can also like our Facebook and Twitter page.